(TibetanReview.net, Jun12, 2015) – Ahead of the 80th birthday of Tibet’s exiled spiritual leader, the Dalai Lama, on Jul 6, China has greatly tightened restrictions across the Tibetan Plateau region to ban all gatherings and celebrations, including even previously allowed annual events. 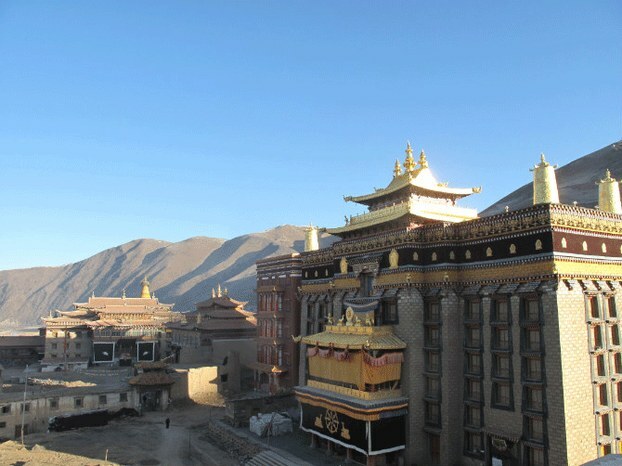 In Dzamthang (Chinese: Rangtang) County of Ngaba (Aba) Prefecture, Sichuan Province, the local Jonang Monastery has been barred from hosting its annual two-week religious debate congregation which was to begin on Jun 6, reported Radio Free Asia (Washington) Jun 10. “Local Chinese officials issued a decree banning the event, saying that since the Dalai Lama’s 80th birthday celebrations in July have been banned, the gathering at Jonang is also being banned,” the report quoted a local Tibetan as saying, speaking on condition of anonymity. The monastery itself, with some 3,000 resident monks, was also reported to be under tight control by Chinese police. In Golog (Guoluo) Prefecture of Qinghai Province, the Chinese authorities have issued a new list of 20 prohibited behaviours for ensuring stability in the area. These include the reiteration of bans on raising slogans calling for Tibetan independence, hoisting of the banned national flag, or composing or singing of songs calling for freedom for Tibet, the report said. Other banned activities include organizing activities related to the birthday of the Dalai Lama or making displays of his photos. Also, Tibetans are no longer allowed to publicly celebrate the release of prisoners jailed for their protest activities. Earlier, on Jun 5, police in Gansu province’s Machu (Maqu) County took away two Tibetans for being the main organizers of a horseracing event planned for Jun 10-13 to mark the Dalai Lama’s 80th birthday. Participants in horseracing event were required to save the life of at least one animal and dedicate the merits gained from this action to the Dalai Lama’s long life. Gambling and sale of alcoholic drinks were to be banned for the duration of the event. One of the organizers was named as Jamyang while the name of the other one remained unknown. And their whereabouts have continued to remain unknown.